Ana Davis, yoga teacher and author, has written a guest post for this week’s Yoga Suits Her blog. We are promoting her March workshops at The Yoga Shed. This post especially emphasises the need to practice yoga appropriate to a women’s monthly cycle. Studies show that women can be more susceptible to the ill effects of stress. 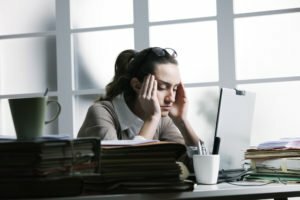 Women in highly stressed jobs have a nearly 40% increased risk of heart disease and heart attacks, and a 60% greater risk for type 2 diabetes. In recent years, there has been an increase in unexplained infertility, and menstrual disorders, like endometriosis, which can have stress-related causes. Women also succumb in greater numbers to autoimmune diseases, and these can be connected to stress. In the USA, 75% of people with autoimmune diseases are women. Another autoimmune condition, Hashimoto’s, is 90% more common in women. It’s not surprising, then, that women are flocking to the calming benefits of yoga. Go to any yoga class and you’ll notice that the students (as well as the teachers) are mostly women. As a 2012 ‘Yoga in Australia’ survey confirmed, 85% of yoga practitioners are women. Can yoga be harmful to women? However, the irony is that the kind of yoga many women are doing could be making their symptoms worse. These might present as stress-related conditions or hormonal imbalances, including menopausal symptoms. That’s because yoga is a 5000-year-old tradition that was created by men for men. It is a practice that was originally made for men’s bodies and not necessarily for women’s cyclical bodies. It’s well known that during pregnancy a woman should do an adapted prenatal practice, but it’s lesser known that there are many other times in a woman’s life in which a yoga practice should be modified. This is where my ‘moving with the moon’ approach comes in. You adapt your yoga practice according to the hormonal fluctuations of the menstrual cycle and during menopause. This offers a more sensitive, individualised solution for women. Women should avoid a ‘one size fits all’ approach in yoga practice. During the delicate menstruation, premenstrual phases and perimenopause, women shouldn’t risk exacerbating their stress-related symptoms. Instead, I highly recommend that you adapt the movements and practices you are doing so that you are working with, rather than against, your energy at any juncture of your cycle and life. For example, during your monthly-bleed your physical and emotional energy is at a natural, low-ebb in your cycle. That’s why you often feel tired and wiped out when you have your period. Your uterus is working hard to release the endometrial lining (menstrual blood). Ideally, we want to support this process by resting a bit more than normal. As well, there’s plenty of evidence that stress can cause imbalances in our hormonal cycle. Up to 90% of women can experience menstrual cramping pain. It’s been found that women reporting high stress levels were two to four times more likely to report pain and discomfort during their period. It you’d like to learn more about how yoga can support women when adapted to their unique hormonal needs, join Ana and Eve for a series of Feminine Yoga Workshops at the Shed, 16 & 17 March. More info here. Ana Davis has been teaching yoga for over 20 years and specializes in yoga for women’s health. She has recently released her book, ‘Moving with the Moon: Yoga, Movement, and Meditation for Every Phase of your Menstrual Cycle and Beyond’.